China's largest telecom equipment maker and smartphone vendor Huawei Technologies Co Ltd unveiled a range of artificial intelligence chips on Wednesday, in what is arguably its biggest-ever push to expand its presence in the semiconductor sector and to compete with US companies such as Nvidia Corp. The move is also part of Huawei's broader effort in AI. The company is working to offer a full-stack technological portfolio to support all AI application scenarios. Huawei said one of the new processors, known as the Ascend 910, boasts the greatest computing density in a single chip in the world, whose performance can beat its rival product Nvidia V100. Ascend 910 is scheduled to hit the market in the second quarter of 2019. And it will be deployed on Huawei's cloud solutions to drive data centers. The new processor is part of broader chip series Huawei released on Wednesday. Another chip, known as the Ascend 310, is designed to drive low-power computing with high efficiency. Xu Zhijun, rotating chairman of Huawei, said these chips will not be sold as standalone products. "Instead, we will develop products such as AI servers, AI accelerators and autonomous driving solutions based on these processors and sell them to clients." These chips are based on an architecture called DaVinci, developed by Huawei. The tech heavyweight has already used intellectual properties from Chinese startup Cambricon Technology to design AI chips for its smartphones. "Cambricon's IP is quite good, but it is not enough to meet our needs to have chips that can support all AI application scenarios. We want to have an architecture that can deliver both extremely big computing capacity and extremely low-power consumption," Xu said. "We will give our processors to partners for trial use," he added. Wang Yanhui, secretary-general of the Mobile China Alliance, said it will not be easy for Huawei to take on Nvidia just by winning in terms of technology parameters. "Nvidia has developed a well-established ecosystem with large pool of clients," Wang said. 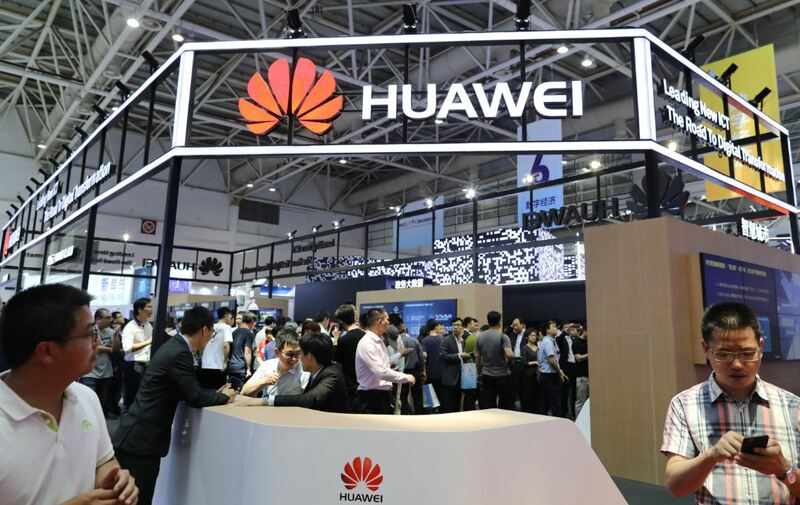 "As a newcomer, Huawei's approach of selling chips and services as a package may be more appealing to clients than selling them standalone." China's largest telecom equipment maker and smartphone vendor Huawei Technologies Co Ltd unveiled a range of artificial intelligence chips on Wednesday.